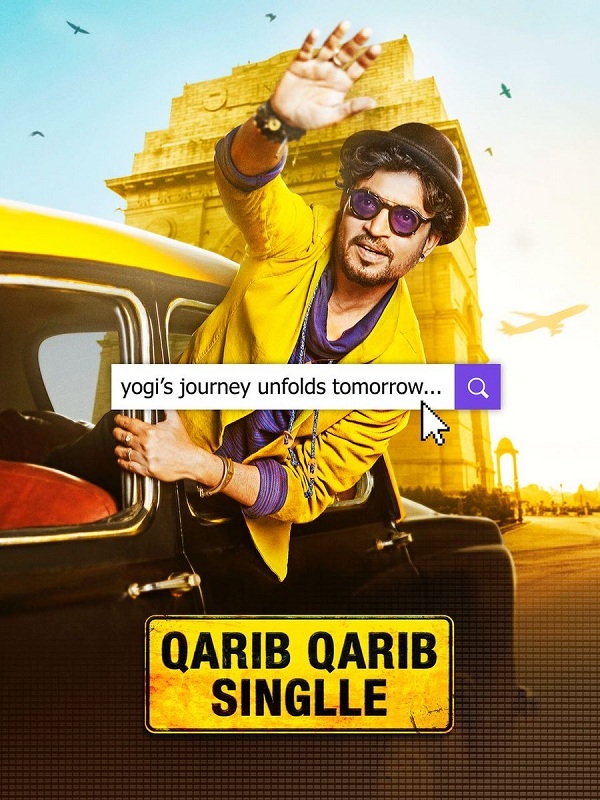 Here is presenting official theatrical trailer and movie posters of Qarib Qarib Singlle starring Irrfan Khan, Parvathy. 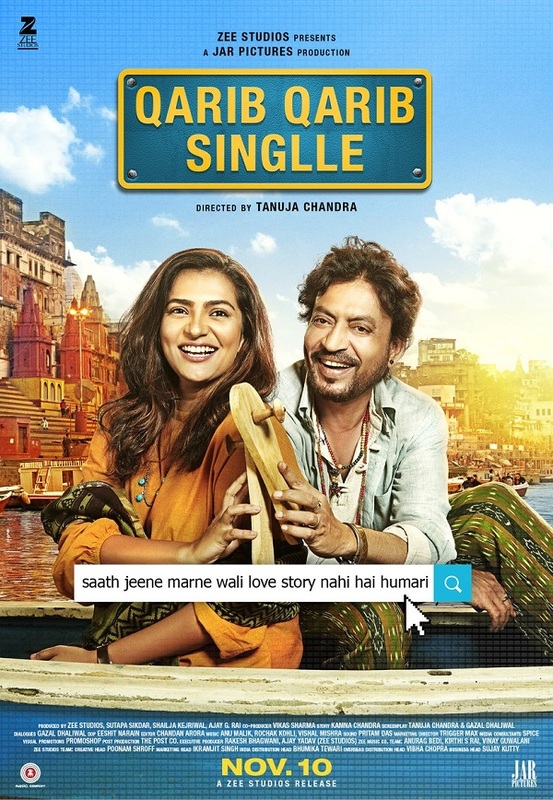 Film is directed by Tanuja Chandra and produced by Zee Studios, Sutapa Sikdar, Shailja Kejriwal & Ajay Rai. 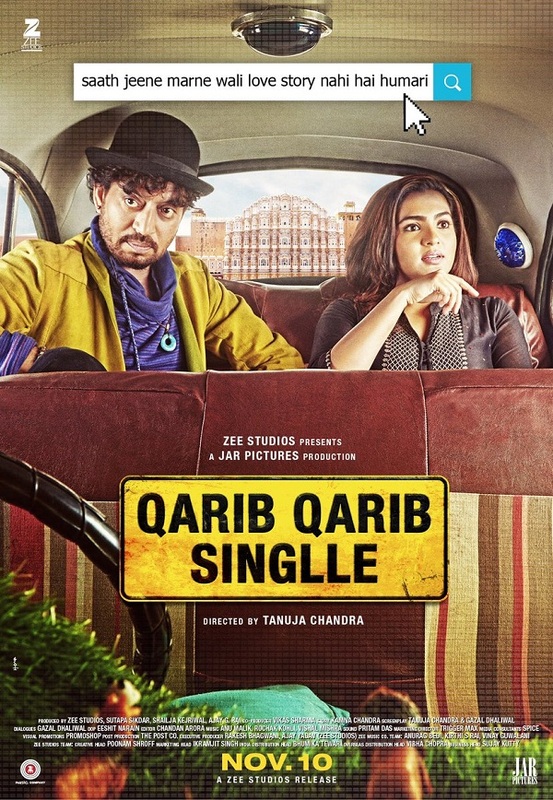 Film is slated for release on 10 November, 2017. 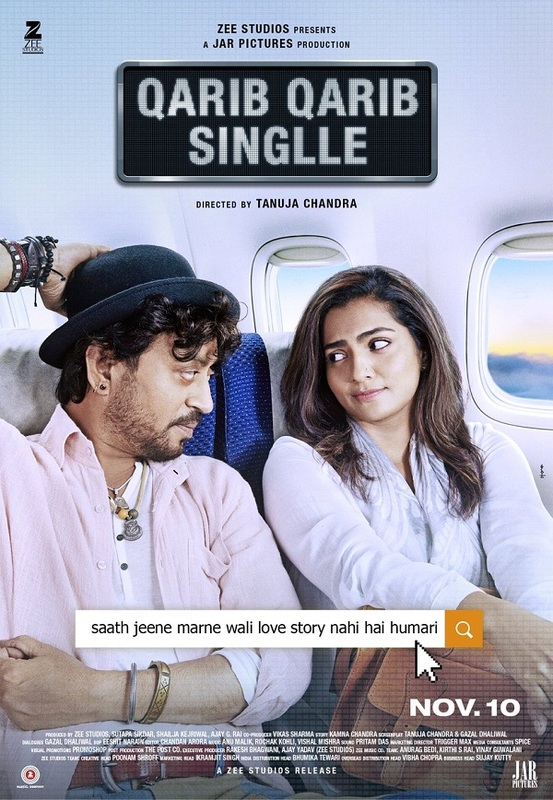 Hindi Medium starring Irrfan was a Sleeper HIT of the year. 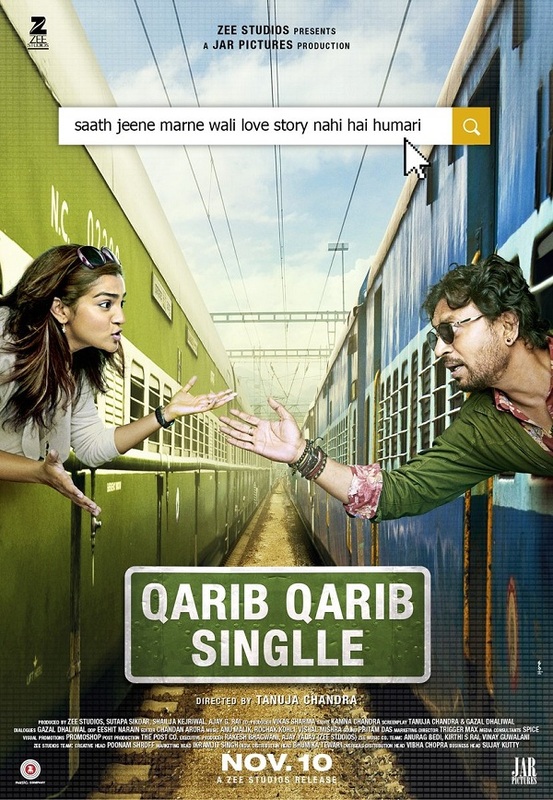 Hence, expectation from 'Qarib Qarib Singlle' has increased manifold as it also stars Irrfan in lead role. Hope it also becomes a successful film at box office.